They say to never judge a book by its cover, and while that may be true for literature, I've generally found a good looking beauty product to live up to its outward appearance. Of course, you are going to discover some duds, but a brand that goes the extra mile with the appearance of their product often has attention to detail that goes beyond just packaging. I personally love buying/collecting aesthetically pleasing makeup - it really does bring me joy! So today I thought I'd walk you through some of my more recent pretty beauty products that not only I've been enjoying the appearance of but also how they perform. From budget brands to premium brands there's something to suit all budgets. But as we are all makeup savvy around here you may want to check out my blog post on really pretty makeup without the price tag sharing my favourite drugstore brands that offer some stunning products to boot. Ahhh Kiko, how I love you so! To me Kiko represents everything I love above makeup, with their mindful shade ranges, innovation, fun and of course good looking products. 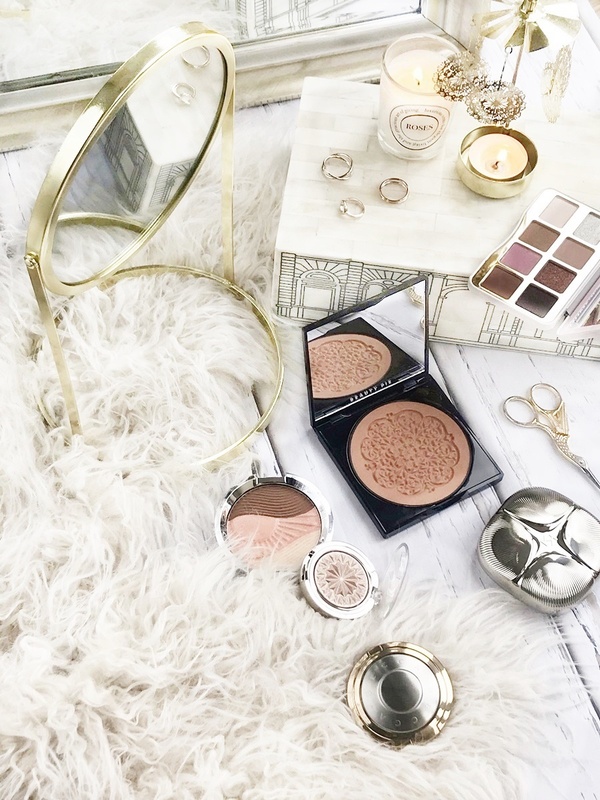 While not everything necessarily comes in the most beautiful packaging (it's not bad, it's just nothing to write home about) with embossed powders, their limited edition ranges which are launched frequently, do! So as it stands right this moment they have 46 limited edition products that are all simply stunning! For this reason, I always look to these ranges first, which often go into their sale - whoop, to pick up something I will treasure as it feels extra special. Above, I have two stunning products from the Sparkling Holiday Limited Edition range. The first, Sparkling Holiday Baked Powder, available in 4 shades currently on sale foronly £8.40! This domed baked complexion powder is a beautiful radiance enhancing fixing powder that can be dusted over the entire face for a diffused but slightly glowy look to the skin - really very lovely! You can also see the compact itself is pretty stunning, with a mirrored metallic finish and unique almost shell-like design. This truly is a bargain product that I'm really enjoying right now. 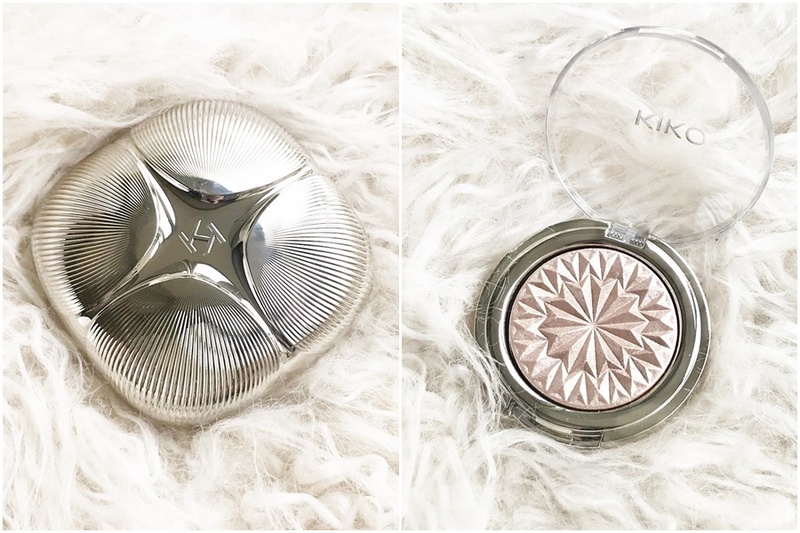 As for the other smaller but equally beautiful product, this is Kiko's Sparkling Holiday Metallic Highlighter in Dream of Desert Rose, another gold shade is available, which can be found in select Kiko stores reduced to only £6.40. As you can see this embossed powder is a thing of beauty and with the powder being slightly firmer than usual meaning it will keep its stunning design through using it and not be smoothed or crumble... in fact, this highlighter very much reminds me of Laura Geller's Baked Swirl Illuminators in formula and pigmentation. Again this is another amazing product, with great colour pay off, adding an amazing spotlight of reflection and illumination to the cheekbones and high points of the face. I also love using this on the inner corners of my eyes! A few years ago I discovered Becca products and since then I've become a huge fan of their most prettier products. Yes, all products do come with lovely packaging but a certain few, along with limited edition and collaboration products really do stand out from the rest. Becca's eyeshadow palettes are always beautiful and something to look out for, I've just picked up the Becca Volcano Goddess Palette on sale for only £19 because I couldn't resist the selection of gilded shades and the amazing packaging. But for me their Shimmering Highlighters are simply perfect! Becca's shimmering highlighters come in different ranges as well as Limited Edition compacts, full size and in mini form. Above left, I have a beautiful duo-shift/duo chrome Light Chasers Highlighter in Rose Quartz, again I picked this up in the sale for only £16! Not only is the mix of gold and silver packaging stunning, the shade is incredible and have fast become a new favourite! It may not look like much in the pan but trust me this is one lovely product! To the right, I have a limited edition Becca X Chrissy Teigen Endless Bronze & Glow compact that is sadly no longer available but is a perfect example of how stunning Becca's LE compacts are! 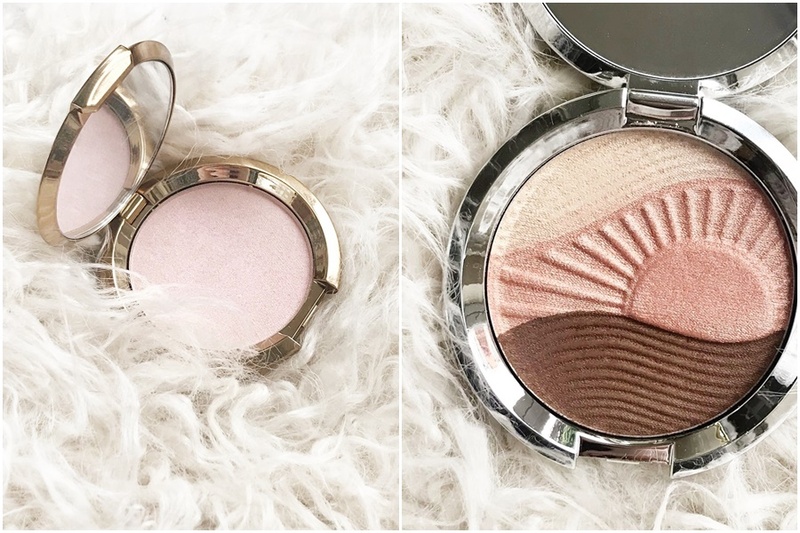 If you are are a Becca fan then it's worth keeping your eyes peeled for new collections as there is often a stunning full size embossed highlighter much like the one above in most new ranges. 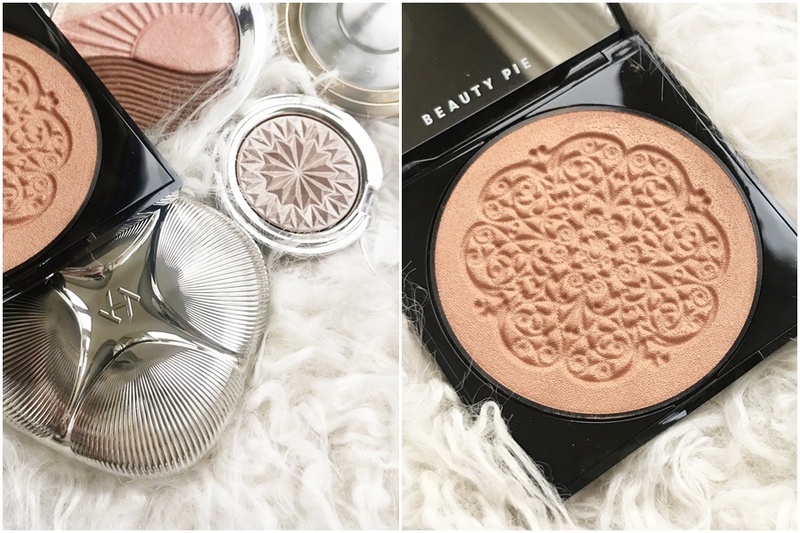 I've managed to pick up quite a few now, my favourite being a Becca's Champagne Pop Highlighter embosses with an gorgeous champagne bottle design! Just before Christmas I signed up to Beauty Pie; a slightly confusing beauty product service websites that requires a monthly membership (more on that later). 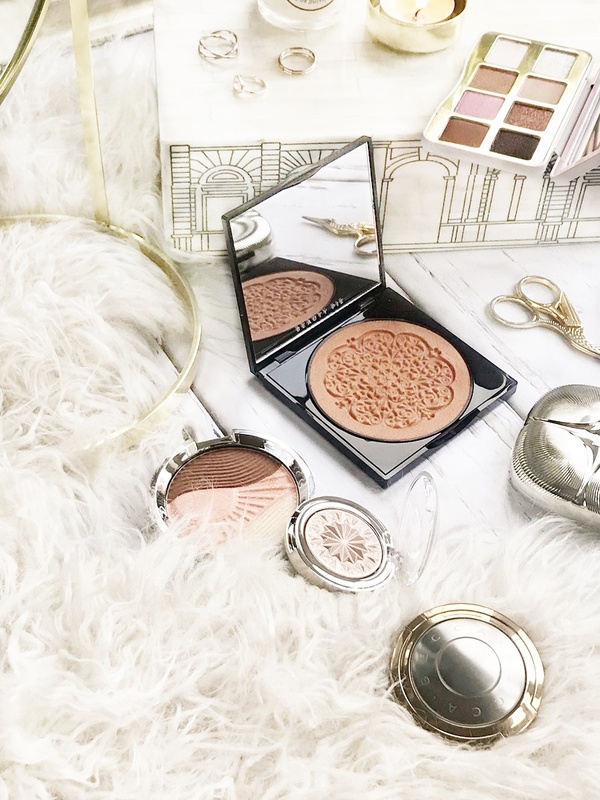 My reason for this was because I wanted to gift a friend a few of their stunning products, and while doing so the beautiful intricate bronzer you can see above somehow fell into my virtual basket - oops! Since then this radiance enhancing bronzer has become a staple in my makeup routine, perfect for dusting over the chest and giving the face a little more depth and shape. While the Luminous Sundust Face & Body Bronzer cost me only £5.88 Beauty Pie set the typical price for such a product at £28. Why am I telling you this? Well, because this is when it starts to get a bit confusing! Before you are able to buy anything at reduced cost prices you have to sign up for a 3-month minimum membership. These are as follows - £5 per month with a £50 a month spending limit, £10 per month with a £100 spending limit and £20 per month with a £200 spending limit. You also receive a £50 bonus on your spending limit for your 1st month of membership. Remember the typical price of the above bronzer? That is the amount that gets deduced from your available spending limit for that month if you decide to buy it and not the actual price of the product. So if you sign up for the £5 monthly membership and bought the above bronze you would have £22 spending limit remaining so you would likely be only able to pick up one more product that month. Hopefully this makes sense! You can read about how Beauty Pie works in-depth here. I'm personally in two minds about this kind of membership - yes, it means the products are cheaper than you would expect... however depending on your spending limit you can't buy endless products per month and of course there's the membership fee which you are locked into for 3 months. For me, it was a one-off to pick up a few some gifts (I went with Pro-Strobe Luminizer and Pro-Glow Highlighter which are both just as aesthetically pleasing as the above bronzer, along with a few lipsticks) and the sneaky bronzer for myself. But who knows, I may re-join in the future to pick up a few more stunning products! Too Faced is a makeup brand I have loved for years, owning quite a lot of their products! I personally find they do fun/kitsch makeup very well without compromising on quality and in most cases not looking tacky or cheap. Above I have a new addition to my Too Faced eyeshadow palette collection, which I received as a Christmas present from a lovely friend! 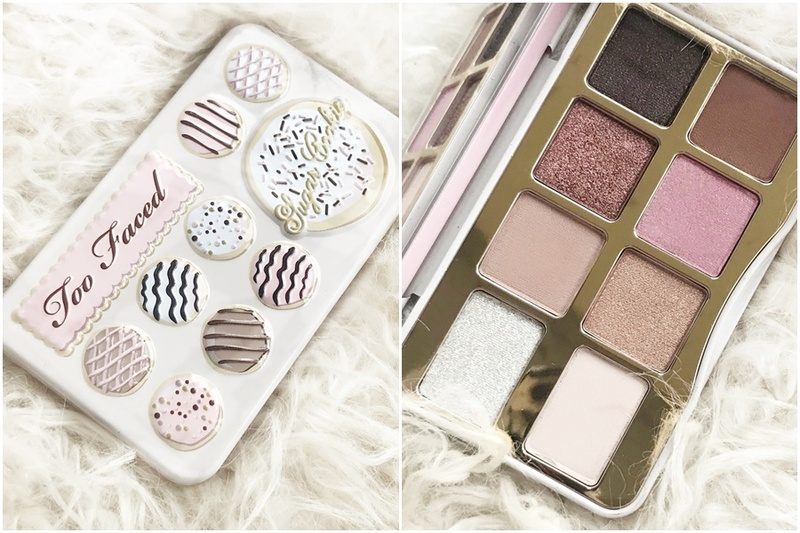 While the gorgeous Sugar Cookie Eyeshadow Palette was limited edition, Too Faced do a whole range of full-size themed and scented palettes that I can't get enough of! Pigmentation wise their shimmers are some of my most favourite and the packaging always makes me love them that little bit more. Too Faced also offer a good selection of beautifully embossed highlighters such as the stunning Candlelight Glow Highlighter, Diamond Highlighter and Love Light Prismatic Highlighter, all of which are so unique in appearance and the kind of products you will treasure in your makeup bag. Certainly, a brand to look at if you love fun yet beautiful makeup... although I would maybe suggest avoiding them in you aren't into scented products! Do good looking makeup matter to you? Do you have any certain beauty brands you go to when you want to pick up something extra special? Let me know! Let's talk pretty makeup in the comments!